As science increasingly becomes both more collaborative we must better understand how to prepare the next generation of scientists. When members of a team are expected to contribute their disciplinary expertise, and collectively contribute to the production of new knowledge, they must also gain expertise in the types of collaborative competencies necessary for success. Our objective with this panel is to provide the following integrated set of perspectives on this issue: (a) provide insights into the types of collaboration skills and competencies necessary for success in team science; (b) discuss how future scientists must also acquire the communication skills supporting collaboration and describe candidate methods for doing so; and, (c) review methods for teaching collaboration and teamwork in science contexts. 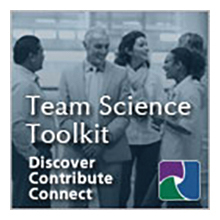 In sum, as scientists increasingly work together to achieve a common goal, they must become more proficient, not just in the technical and task components of their research, but also the collaborative skills that form the foundation for their science team. Stephen M. Fiore, Ph.D., is faculty with the University of Central Florida’s Cognitive Sciences Program in the Department of Philosophy and Director of the Cognitive Sciences Laboratory at UCF’s Institute for Simulation and Training. He is the current president of the Interdisciplinary Network for Group Research and is currently serving as a committee member for the National Academy of Sciences consensus study on the Science of Team Science. a founding program committee member for the annual Science of Team Science conference. He maintains a multidisciplinary research interest that incorporates aspects of the cognitive, social, organizational, and computational sciences in the investigation of learning and performance in individuals and teams. Dr. Fiore's primary area of research is the interdisciplinary study of complex collaborative problem solving and understanding how humans interact socially and with technology. Dr. Fiore has been a visiting scholar for the study of shared and extended cognition at École Normale Supérieure de Lyon in Lyon, France (2010) and he was a member of the expert panel for the Organisation for Economic Co-operation and Development's 2015 Programme for International Student Assessment (PISA) which focuses on collaborative problem solving skills. As Principal Investigator and Co-Principal Investigator he has helped to secure and manage over $20 million in research funding from organizations such as the National Science Foundation, the Office of Naval Research, the Air Force Office of Scientific Research, and the Department of Homeland Security. He is co-Editor of recent volumes on Shared Cognition (2012), Macrocognition in Teams (2008), Distributed Training (2007), Team Cognition (2004), and he has co-authored over 150 scholarly publications in the area of learning, memory, and problem solving at the individual and the group level. Valerie Ciocca Holt completed her Ed.D degree at Lehigh University in Bethlehem, PA. Her dissertation study entitled, Graduate Education to Facilitate Interdisciplinary Research Collaboration: Identifying Individual Competencies and Developmental Learning Activities was a consensus study of interdisciplinary scholars and scientists. Her research is focused on identifying the individual competencies needed for effective engagement in interdisciplinary research collaborations and the associated graduate level learning activities that facilitate the development of those competencies. She is currently working on a guide for academic leaders that provides best practice advice for graduate curriculum development that aligns person-specific and program-specific goals within the context of different institutional structures and constraints. Valerie earned her undergraduate degree in Psychology from DeSales University and earned a M.Ed. with an emphasis on Higher Education Counseling and Career Development and a M.B.A. from Lehigh University. She has professional experience in graduate student career development at Columbia, Pepperdine and Lehigh Universities, and has served as the Director of Administration and Special Programs in the College of Engineering and Applied Science at Lehigh University and as the Director of Education and Outreach for PBS affiliate, WLVT. Valerie is an advocate of interdisciplinary problem solving to address challenges for children in at-risk circumstances and currently serves on the PA Governor’s Council for Child Development and Early Learning. Dr. McCormack earned a Ph.D. in Biological Science at Florida State University, and after postdoctoral training at the University of Michigan joined the faculty of the department of Pathology, Immunology & Laboratory Medicine at the University of Florida College of Medicine in 1991. Dr. McCormack has been involved in every facet of graduate program planning, curriculum development, and administration, including nearly 10 years of service as the Associate Dean for Graduate Education and biomedical sciences Ph.D. program director. He now serves as the director of the UF predoctoral training program in Clinical & Translational Science. Dr. McCormack directs and teaches in many graduate-level basic science and professional development courses, including “Responsible Conduct of Biomedical Research”. Dr. McCormack’s research focuses on team-based learning in graduate education and peer evaluation in medical education. 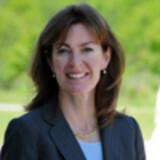 Dr. McCormack is active in professional working groups, including current service as the past-chair of the national steering committee for the Graduate Research, Education and Training (GREAT) Group of the Association of American Medical Colleges, and as the president of Team-Based Learning Collaborative (TBLC). Jack C. Schultz is Director of the Christopher S. Bond Life Sciences Center at the University of Missouri where he promotes and develops interdisciplinary research among 400 researchers, students, and staff whose interests range from plant breeding to gene therapy and electrical engineering. For 35 years, Dr. Schultz has had continuous NSF support to study the biochemical bases of plant-insect interactions. This has required forming teams drawn from analytical chemistry, plant physiology, virology, ecology, engineering, statistics, genomics and animal behavior. At Penn State University he founded the interdisciplinary Center for Chemical Ecology and was a member of the three-person team that designed the Huck Institutes of the Life Sciences. Recently, Schultz has formed teams at the University of Missouri drawn from the life and physical sciences, journalism, theater, psychology, social sciences, economics, art, and public relations communities to investigate ways to enhance scientific communication with the public.